Located on the second floor, the Sarah Room is where cozy nautical meets urban chic. 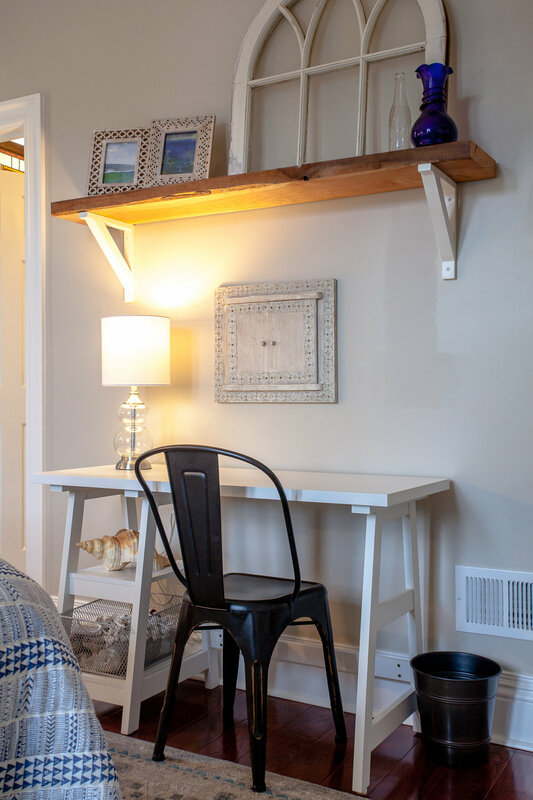 Unwind in a luxe queen-sized bed surrounded by local art and modern decor, complete with a sitting area, small desk, and lots of natural light. The bathroom is equipped with a spacious, glass surround shower. As with all of our rooms, guests enjoy our Chef-prepared breakfast on weekends and a homestyle breakfast during weekdays. Forget something that will make your stay better? Just ask!